I'll admit, the hype machine has been a bit over the top lately. It seems companies just freely say "the scariest movie ever", or "you won't be able to finish it because it's too scary". Most of the time it's just ignorant marketing and not true...at all. But Hereditary is different. 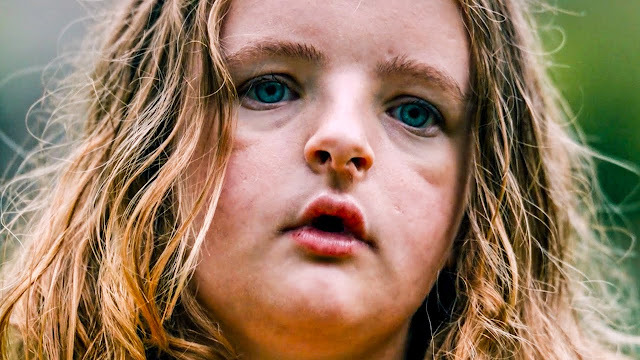 Hereditary, a psychological horror film masquerading as an intense dysfunctional family drama, is legitimately one of the creepiest films I've ever seen. This is hands-down one of the most sophisticated and intensely unsettling films ever made. The razor sharp precision in everything from the slow buildup (it is intensely slow-burn), the incredible performances, the meticulously detail-oriented direction and sure-handed script all lend themselves to such an intense experience that you can't help but simmer on what you've seen for hours and hours afterwards. This is about as intense as any psychological horror film can possibly get, and while it may not be everyone's cup of tea, there's no denying the expert craftsmanship involved and the lingering effects on your brain. Is it the scariest film ever made? I don't know. What is? I've never seen a film that actually scared me. But there are a handful that I find genuinely disturbing and creep me out, like Henry: Portrait of a Serial Killer, Candyman and The Shining. Hereditary is one of those films. It's constant sense of dread presents itself in a slow-burn experience for the first half as you wonder if this is really a drama rather than a horror film. But trust me, if you can make it to the second half, the payoff is magnificent, because it really is two different films in one, split right down the middle in it's 2 hour running time. Once the second half kicks in, you won't know what hit you - as if the rug has just been pulled from right under you. I've never seen the young actress Milly Shapiro before, who's displayed prominently on the marketing material, but she blew me away. There's just something eerie and unsettling about her every second she's on screen that I just could not take my eyes off of her. She's hypnotizing in a way that easily makes her one of the most unforgettable characters in a horror film in recent memory. 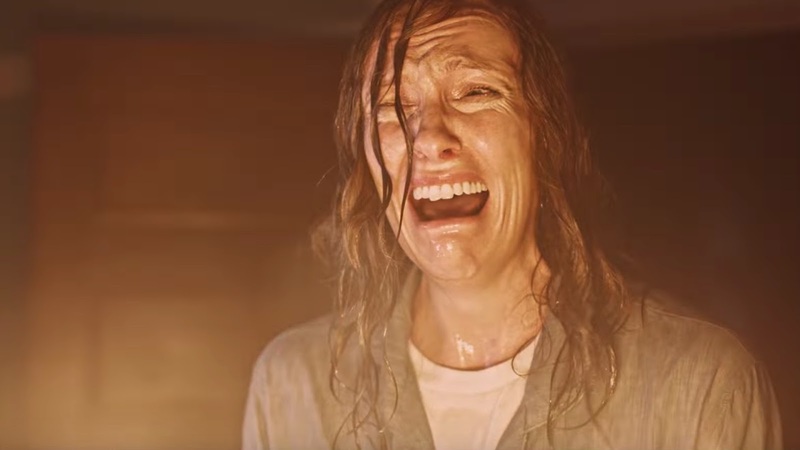 I wouldn't be surprised if this role for her goes down in film history the same way that the character of Danny from The Shining did. Personally speaking, this is the that rare occasion where the hype machine is justified here. I would definitely take advantage of seeing this in a dark theater. It makes a huge difference. Go see it! Support it so we can help more films like this get made.